A very nice quality, French copper grain measure. This type of measure comes in various forms, both decorated and undecorated, and in combinations of copper and brass. This one is all copper and the central panels have a tooled decoration. Each circle of the decoration is individually stamped into the copper. It dates from c. 1880 and it is in excellent condition. 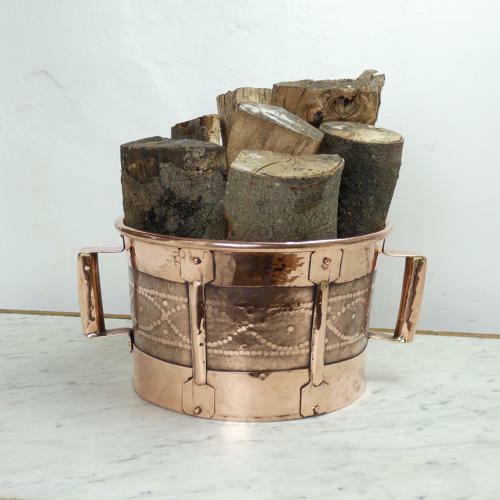 It is unlikely that we would now want to use it for measuring grain but it would make an ideal jardiniere or log bin.